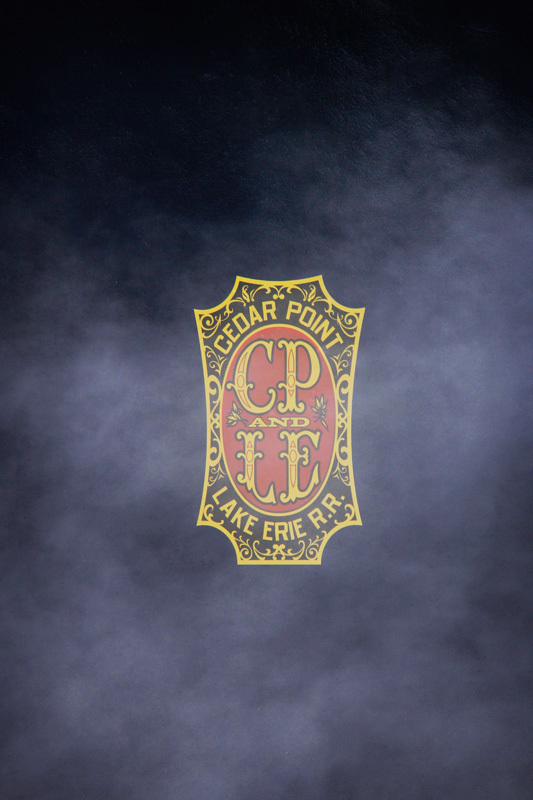 Over the past few weeks I’ve guided you on a tour over the tracks of the Cedar Point and Lake Erie Railroad, which is celebrating its fiftieth anniversary this year. 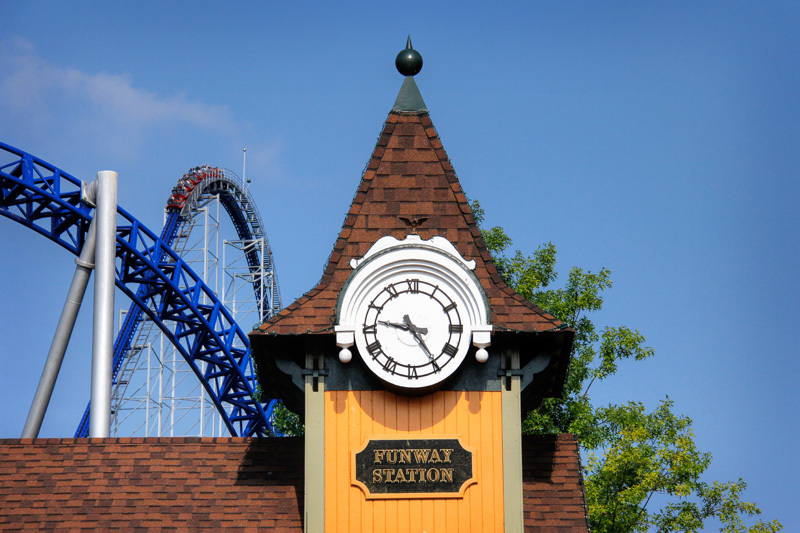 Our little ride has come to an end – for now, at least – as this is our final post on the Cedar Point and Lake Erie. 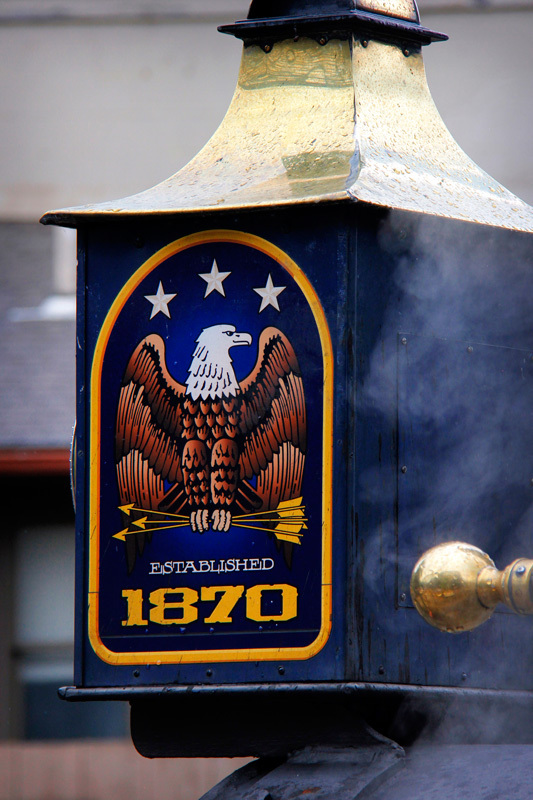 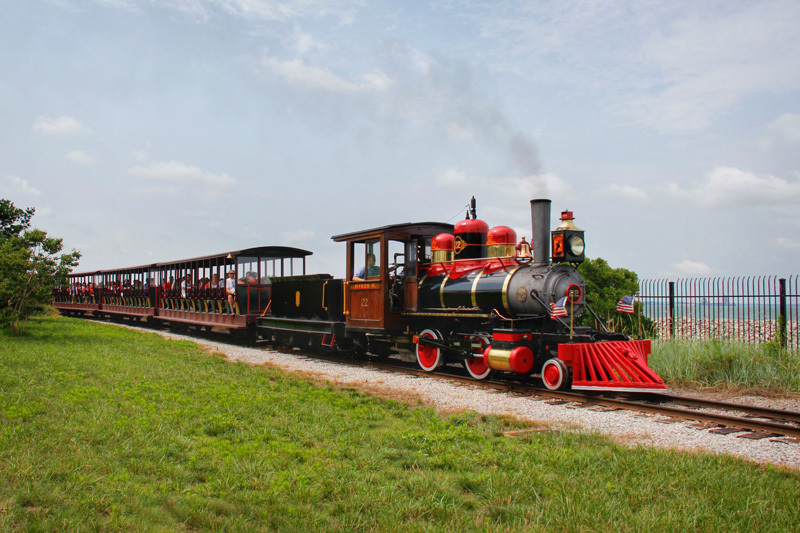 Though we’ve travelled the rails, and met the interesting people that make the railroad run, we haven’t covered some of the railroad’s earliest history. Historical Photos of the Cedar Point & Lake Erie from cplerr.com. 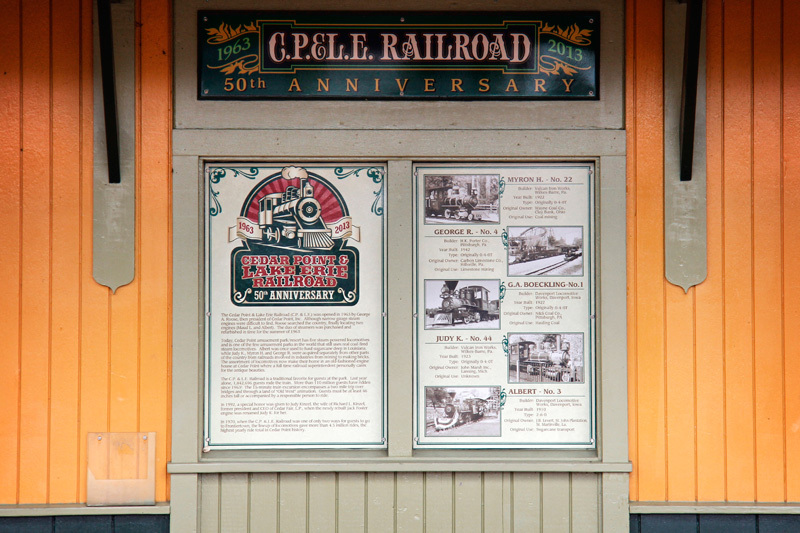 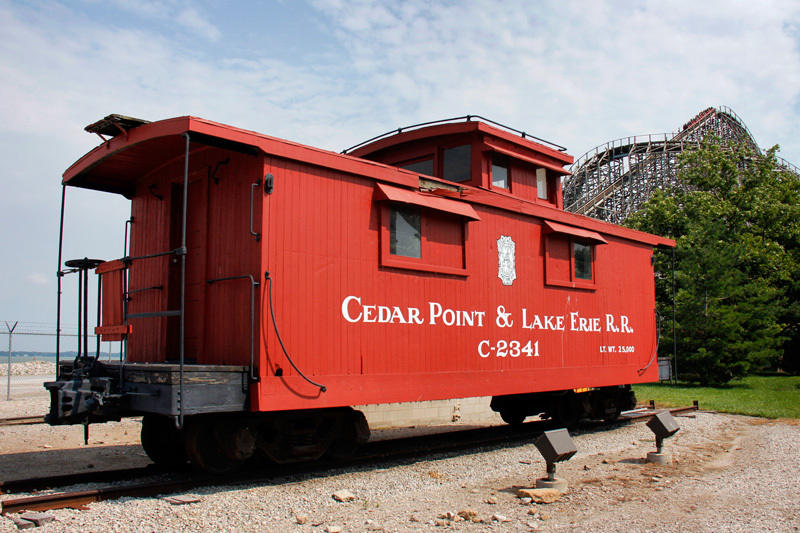 The Cedar Point and Lake Erie Railroad was inspired by Disneyland’s railroad, and was the brainchild of George Roose, president of Cedar Point in the late 1950s. 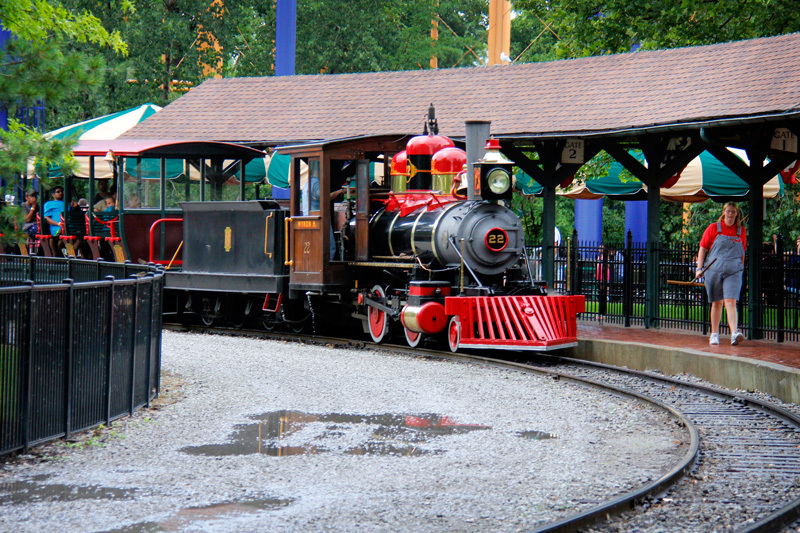 The amusement park’s board wasn’t quite convinced on the idea of a railroad at the park, and after several rejections, Roose put up his own money to see the project come to fruition. 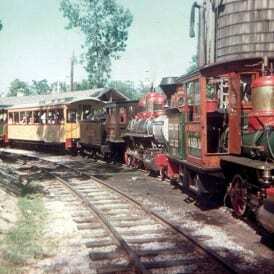 The announcement of the project came in late 1962, and construction on the narrow gauge tracks began in early 1963. 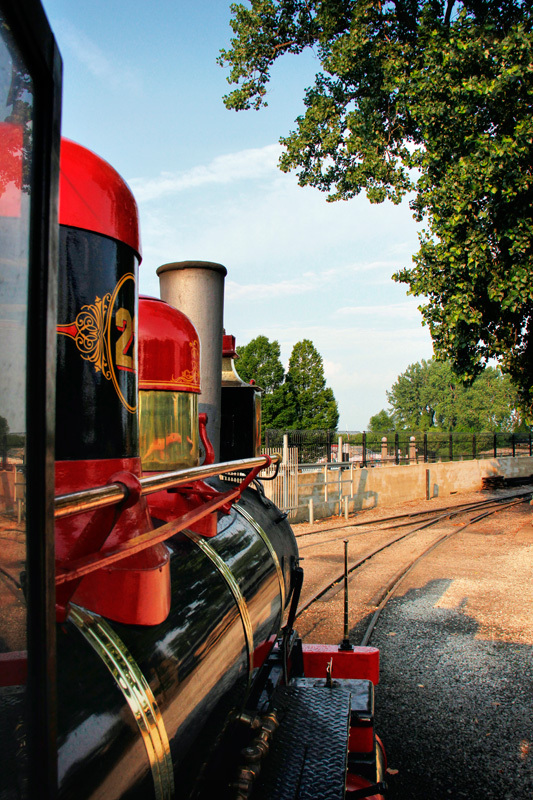 The CP&LE’s primary locomotive was Maud L. – a 1902 engine that spent the first years of her life hauling sugar cane for the Laurel Valley Plantation in Louisiana. 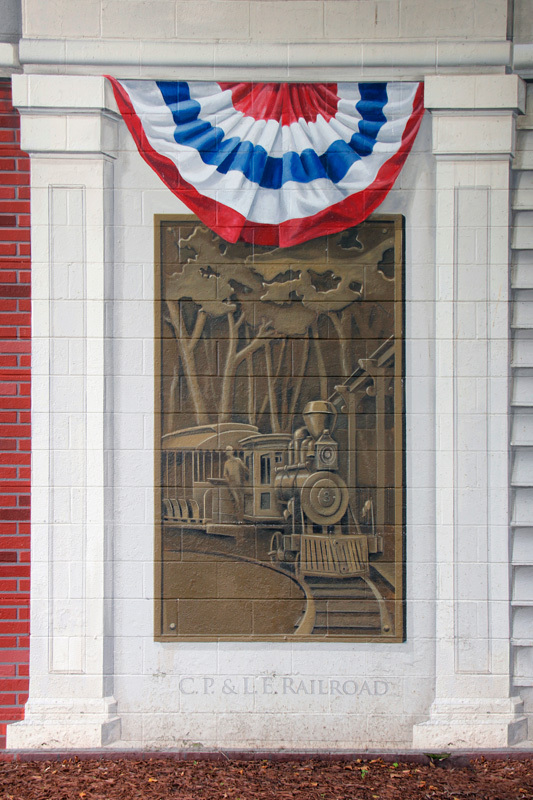 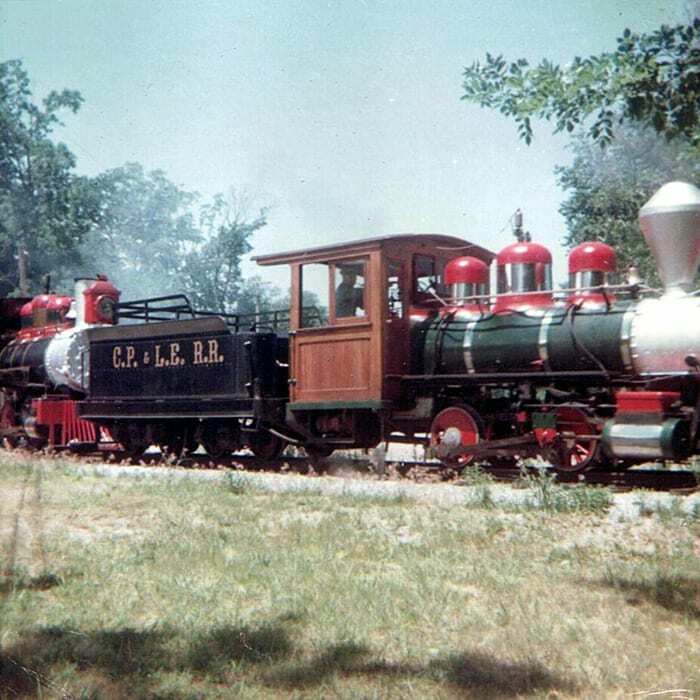 Roose was so determined to have a railroad at the park that he purchased Maud L. in 1961, some time before the board had even agreed to the project. 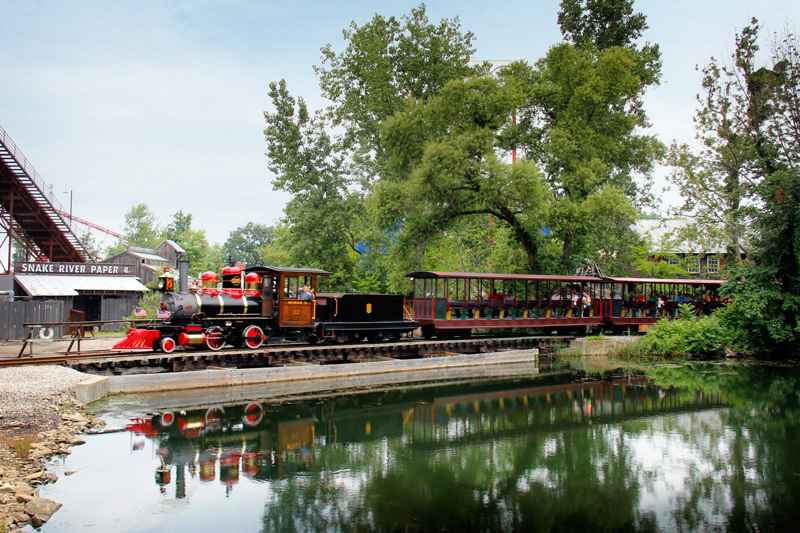 Maud L. was expected to carry six coaches, with an hourly capacity of about 1200 people. 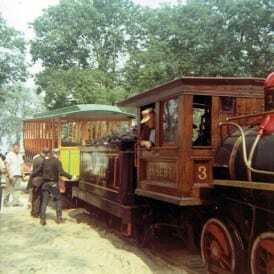 The railroad’s original route was about 1.6 miles long, extending from the “funway” to the northern portion of the Cedar Point peninsula – mostly woods at the time. 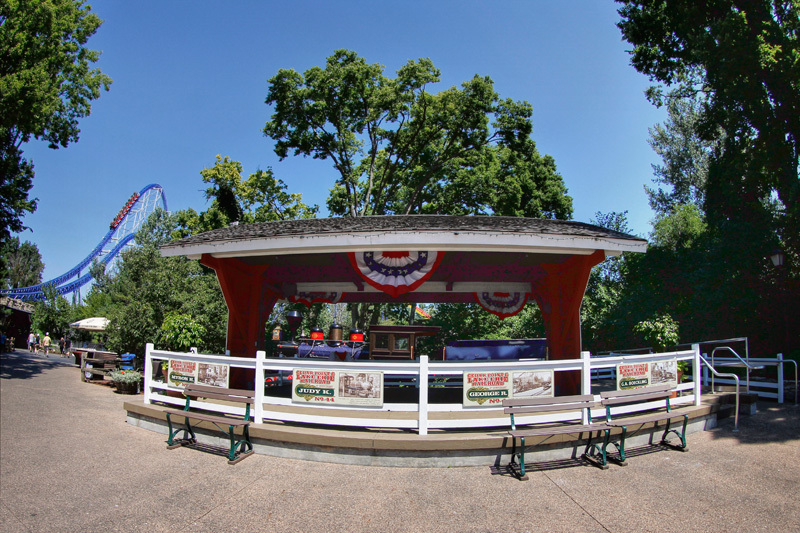 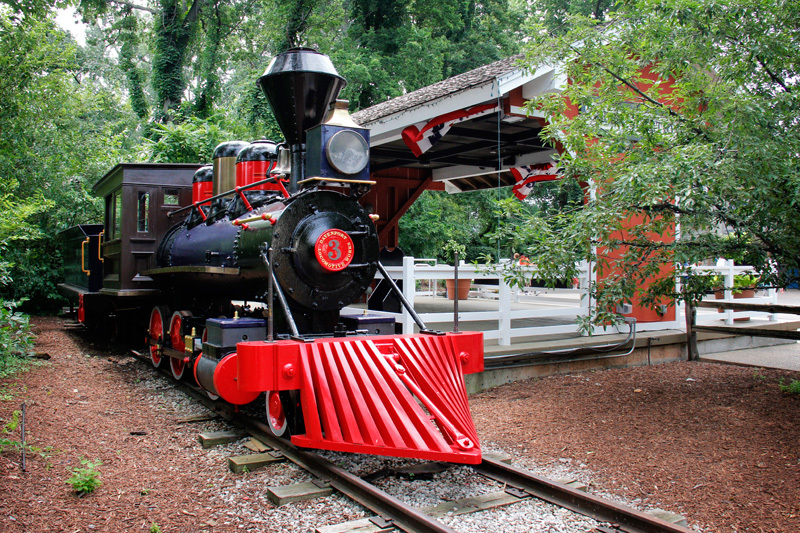 A station was built, intended to be a reproduction of those common during the Civil War era. Finally opening to much fanfare in May of 1963, the railroad’s opening ceremony was attended by various representatives of the park and beyond – including deputies from the New York Central, Pennsylvania, and Nickel Plate railroads. 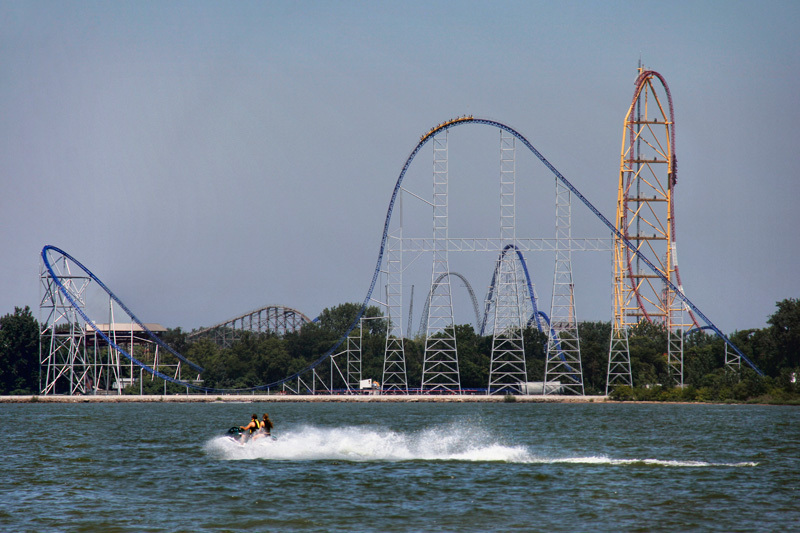 The Cedar Point and Lake Erie quickly became a staple attraction of the park, and carried a record four and a half million passengers in 1970. 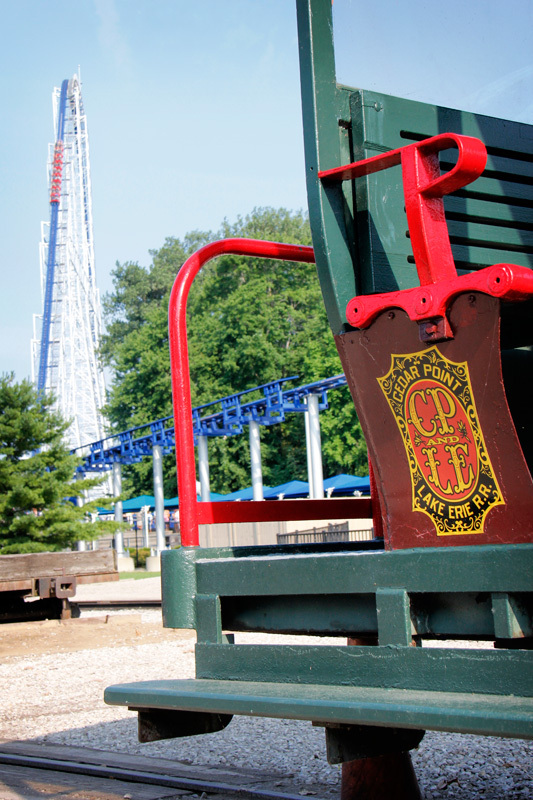 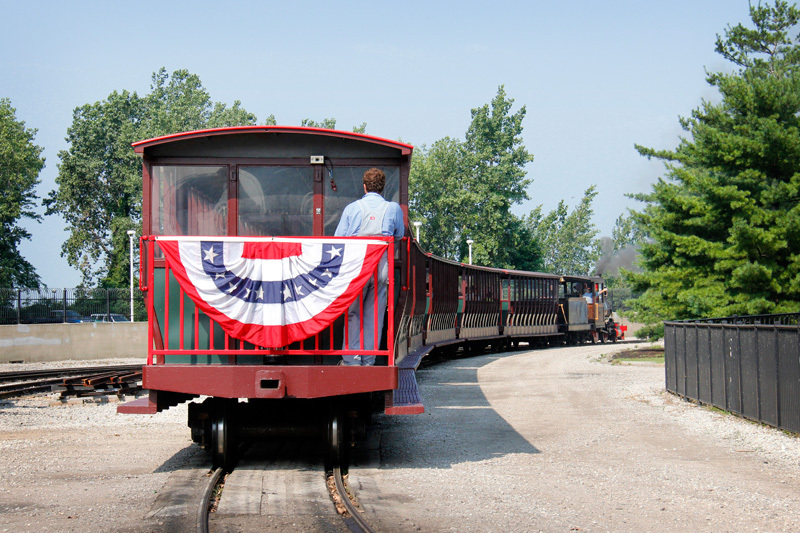 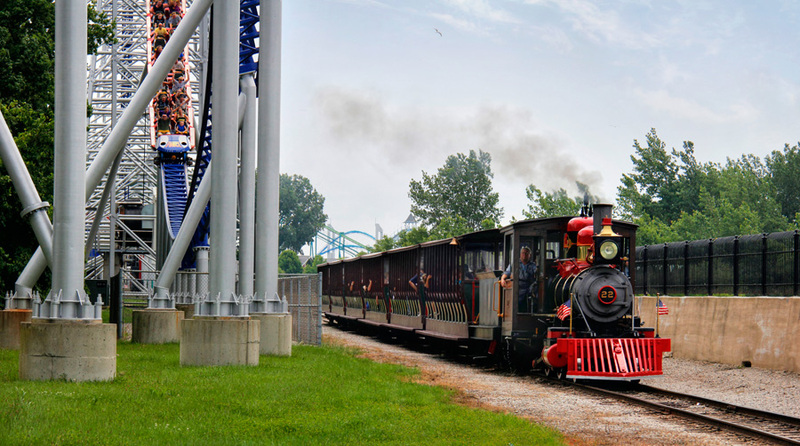 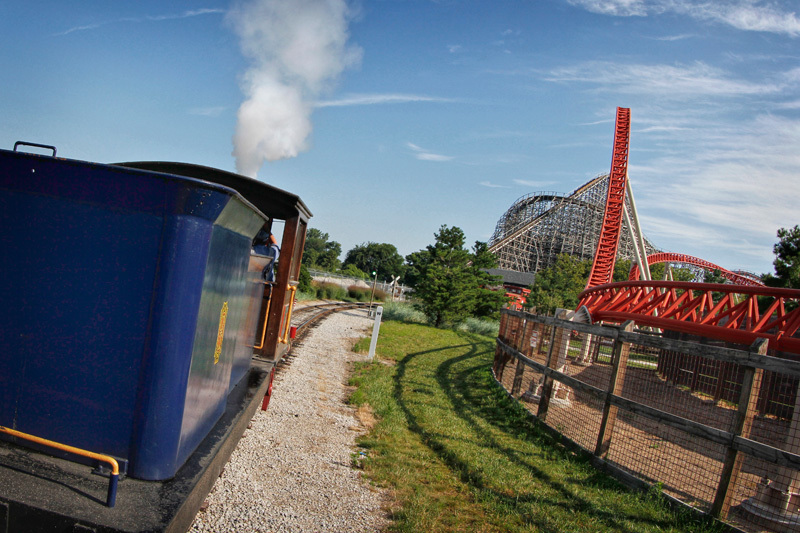 Though most visitors to Cedar Point will name roller coasters as the park’s primary attractions, the railroad remains one of Cedar Point’s oldest and most-loved attractions. 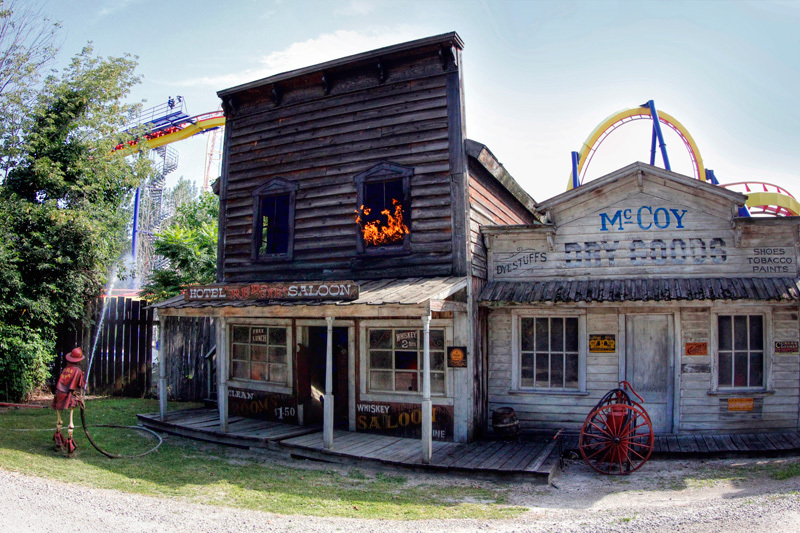 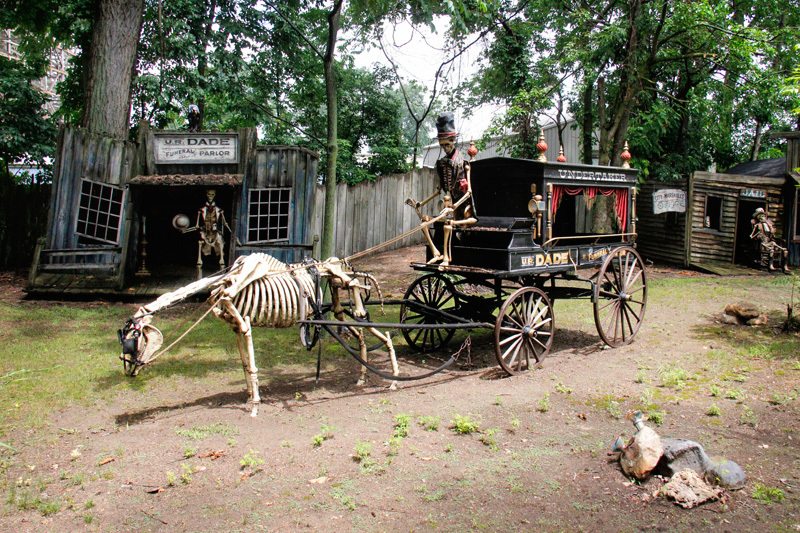 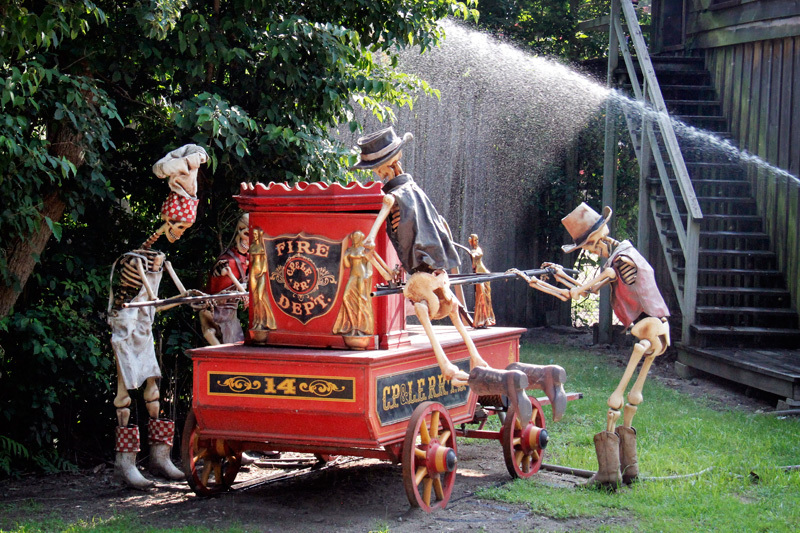 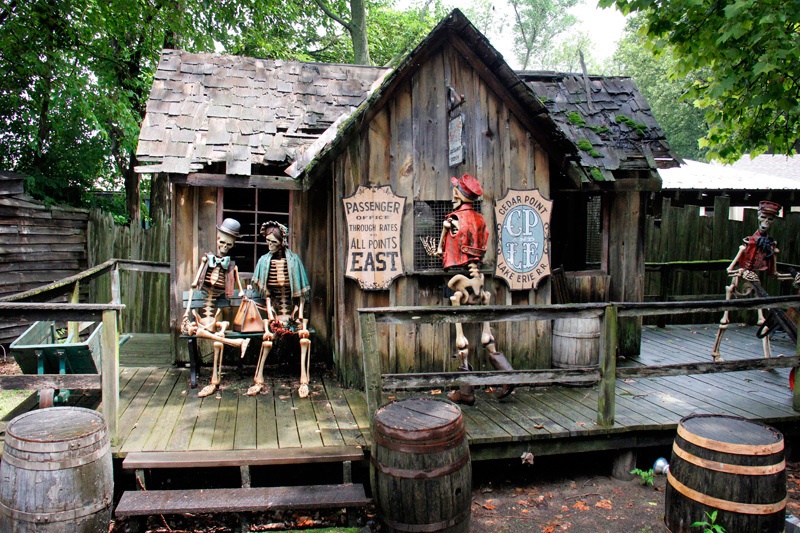 Cedar Point itself is an interesting place – though it almost seems to live in two different worlds. 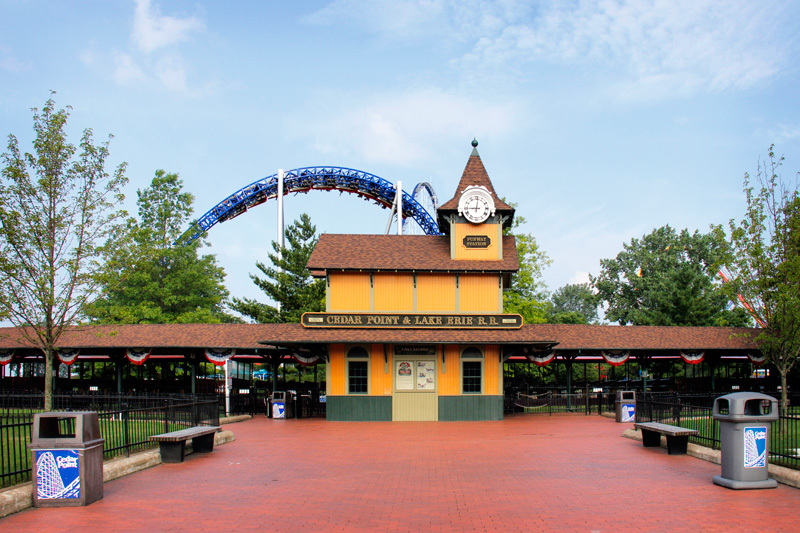 Where on one side it is primarily known for record-breaking roller coasters that push the boundaries of both construction and technology, a portion of its identity is devoted to history. 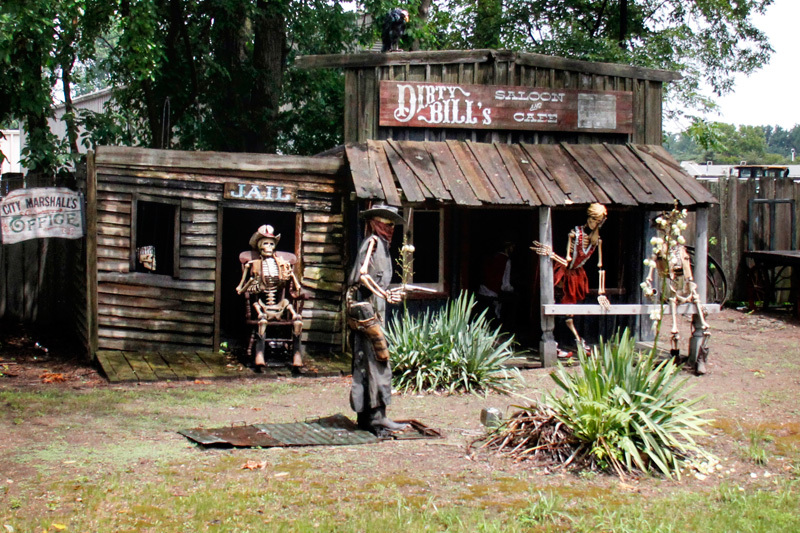 The Frontier Trail, established in 1971, is filled with various historically-themed shops and crafts, from an old grist mill to a blacksmith and a glass blower. Though the trail was constructed several years after the railroad, the two certainly fit together. 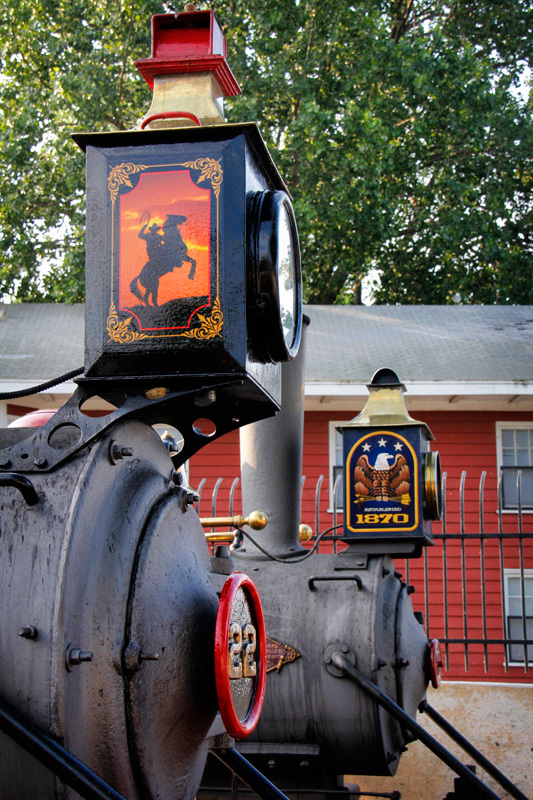 Theme is a big part of parks these days, but history was more than just a simple theme here – the locomotives acquired for the railroad were former sugar plantation work horses, and the grist mill was not a recreation, but an authentic 1800’s mill that was moved from North Carolina and reconstructed at the park. 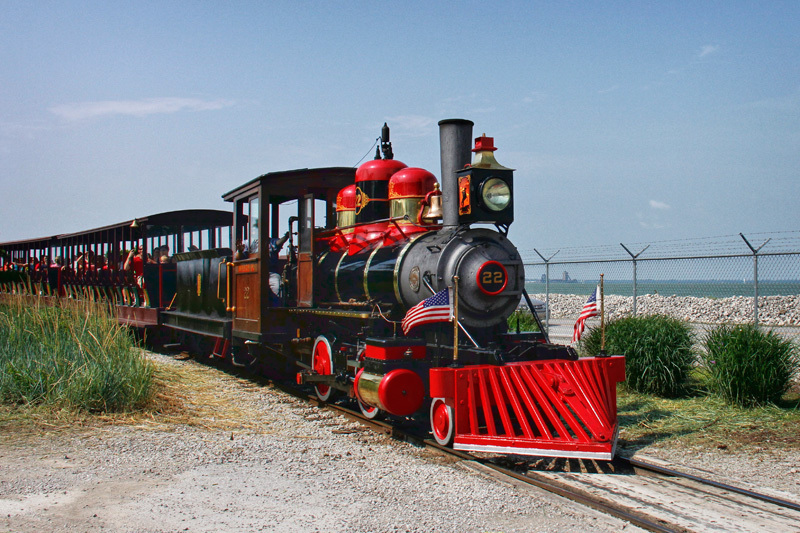 Cedar Point’s historical locomotives, illustrated by Randy Sappo. 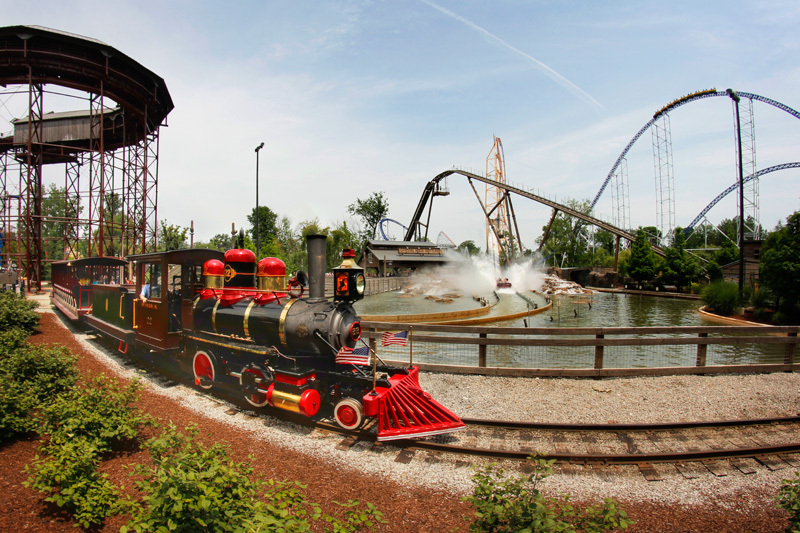 If any attraction were to bridge the gap between the two identities of Cedar Point, it would likely be the railroad. 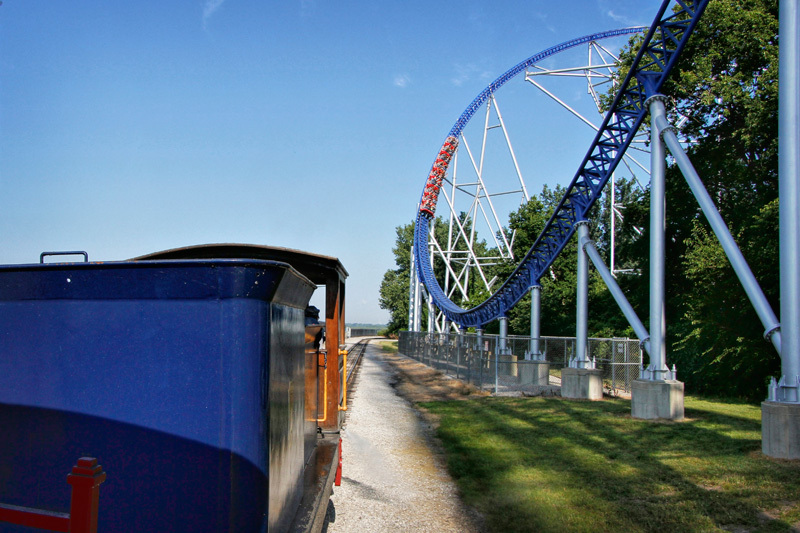 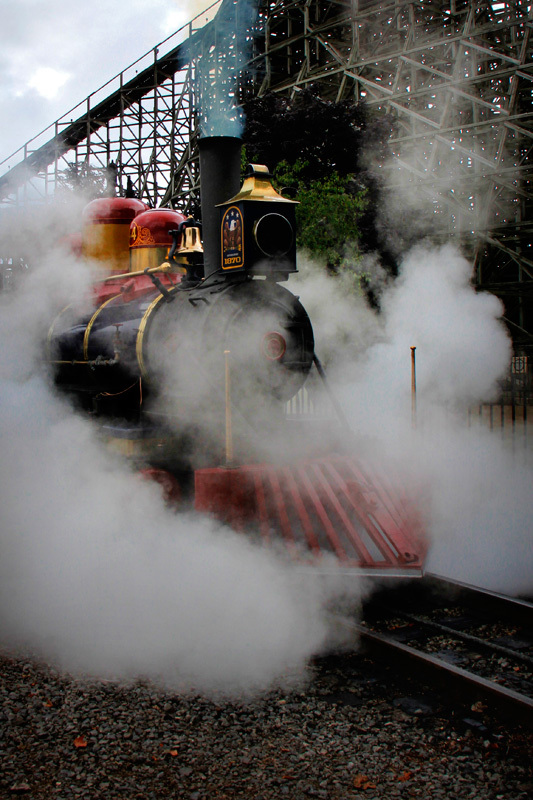 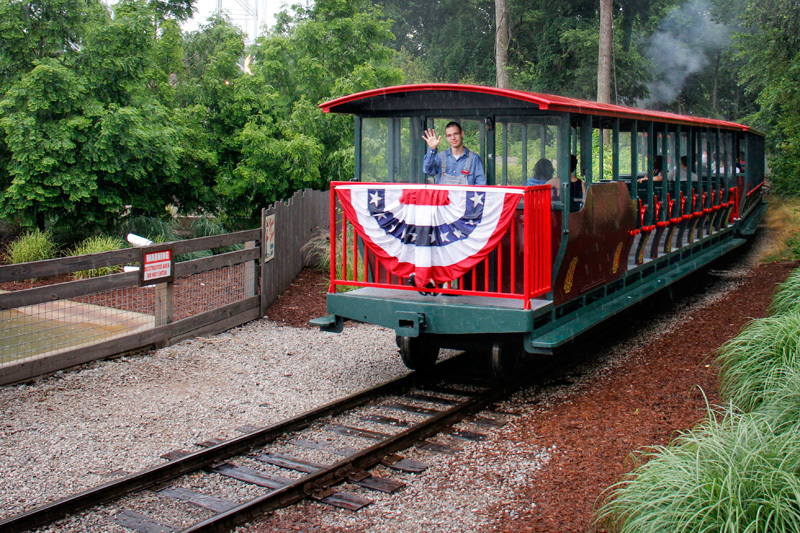 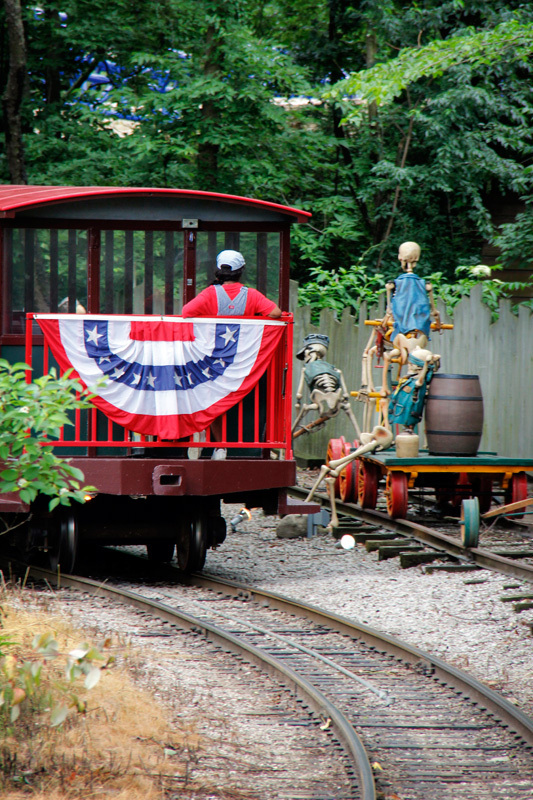 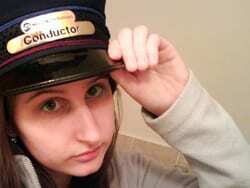 Railroads have always been the kindred spirits of the roller coaster, their histories joined. 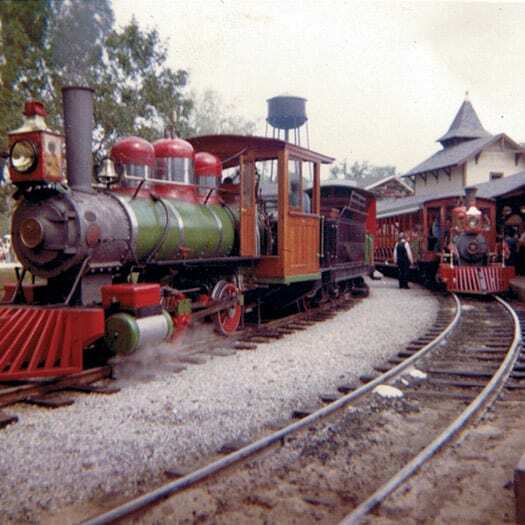 They share the same fundamental concept of a car running on tracks, and in the earliest days were both powered by gravity. 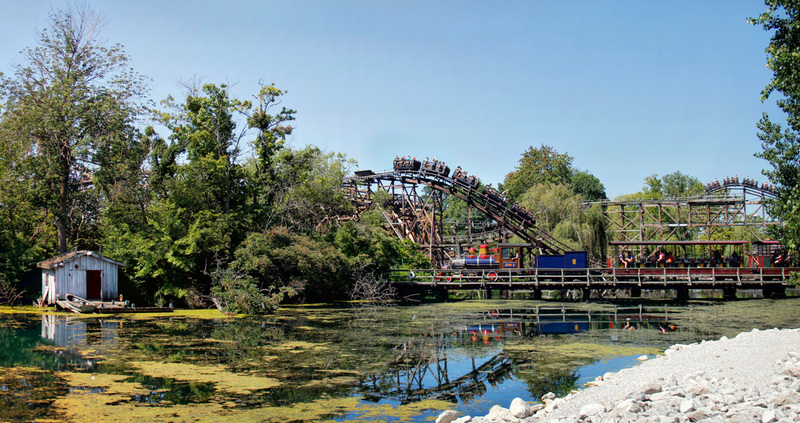 Though their evolution differed greatly from that point on, there are many spots where the two are reminiscent of one another. 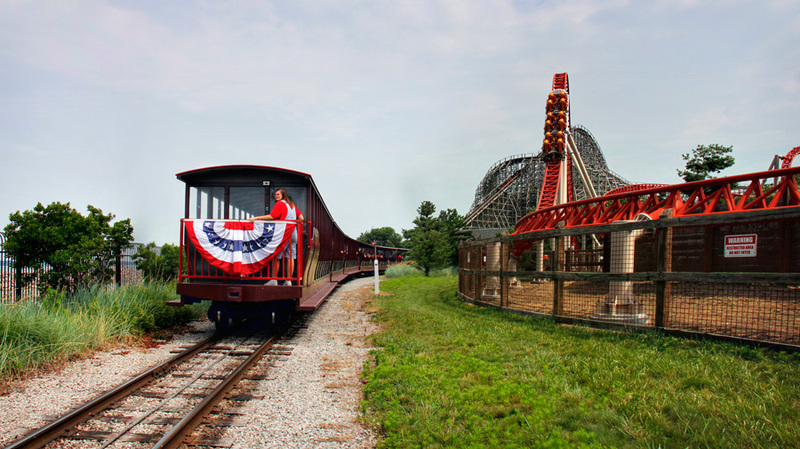 In the 1870’s a former coal railroad that had outlived its usefulness was converted to a “scenic railroad” – but with its varying speeds to elicit thrills from passengers, the concept was closer to today’s roller coaster. 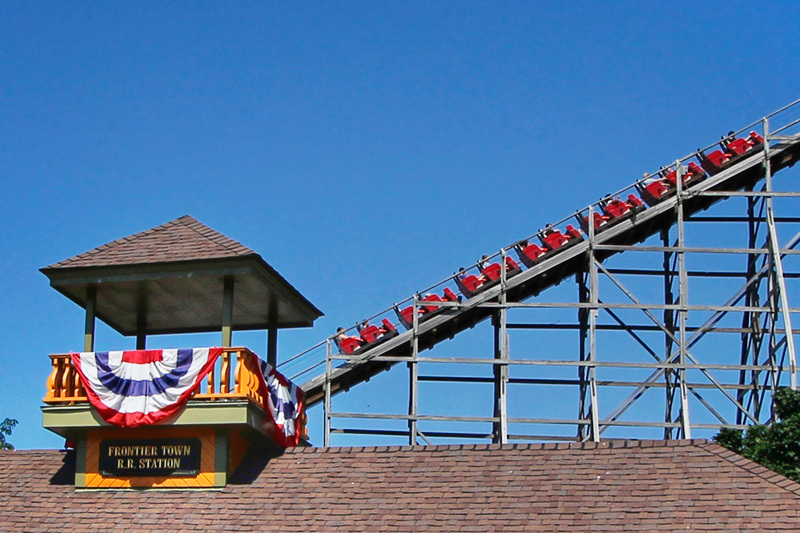 In fact, several of the roller coasters of the late 1800’s went by the moniker of “scenic railway.” Decades later came the “classic” side friction roller coasters built in the early 1900’s – in order to prevent trains from going off the track they had brakemen, a job mostly associated with railroads. 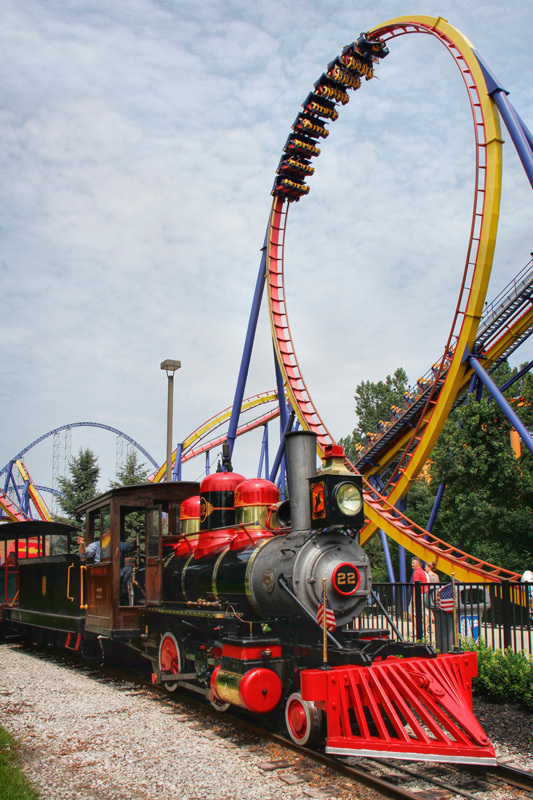 Today each have their own respective futuristic technologies – from super-fast mag lev trains to hydraulically launched coasters that can shoot riders to speeds over one hundred miles an hour in a matter of seconds. 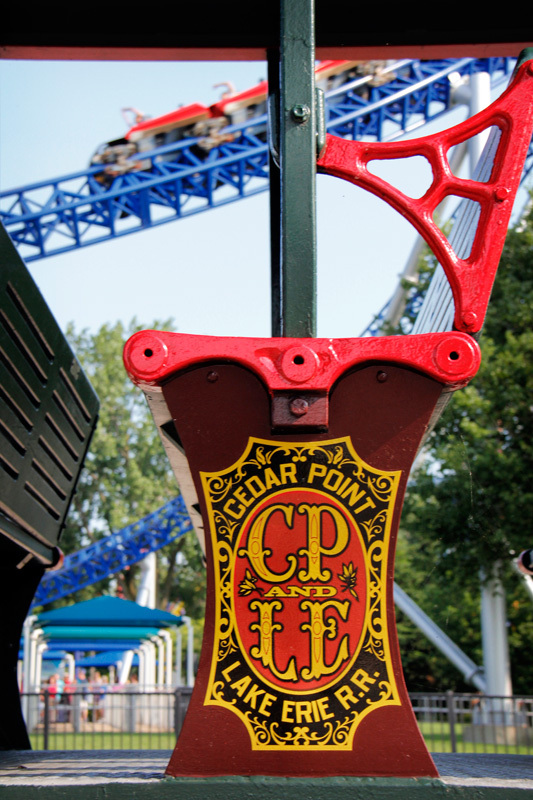 Though many amusement parks have both roller coasters and trains, Cedar Point seems to be one of the most appropriate for the two to live in perfect harmony. 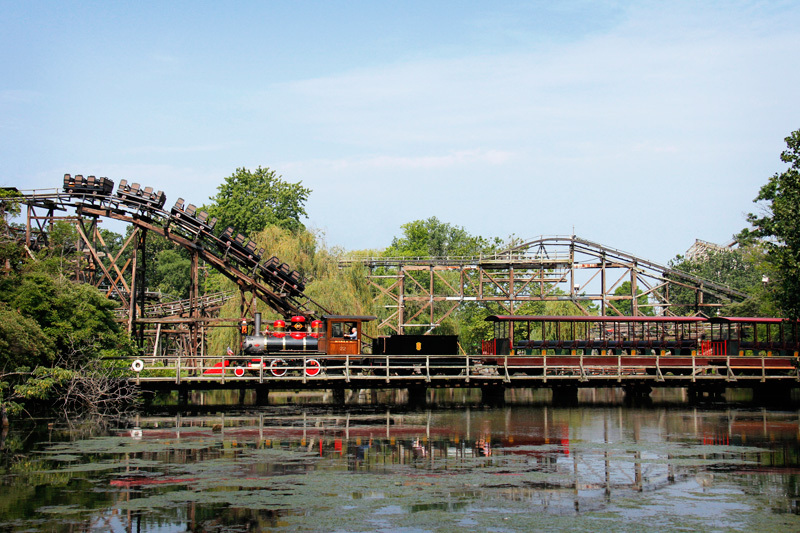 So let’s take one more look at the fifty-year-old Cedar Point and Lake Erie Railroad, surrounded by its roller coaster kin. 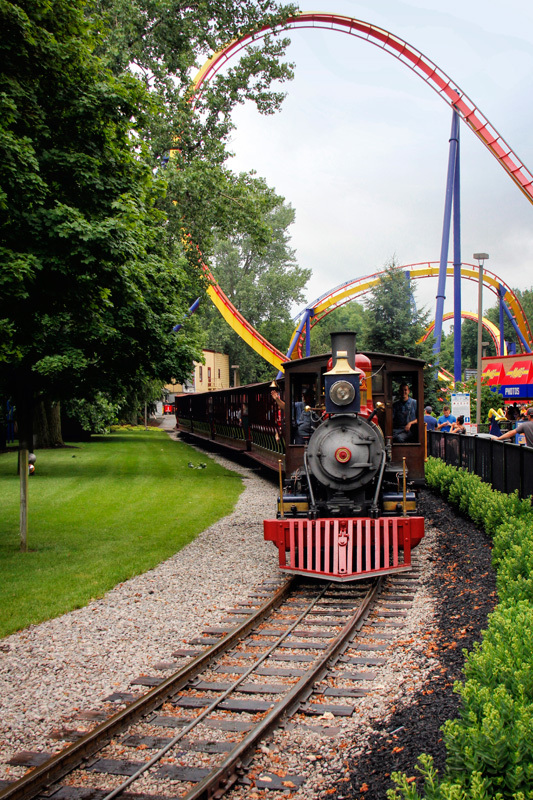 The historically-themed parts of Cedar Point are reminiscent of the much-beloved but sadly short-lived “Freedomland U.S.A.” of my boyhood Bronx.